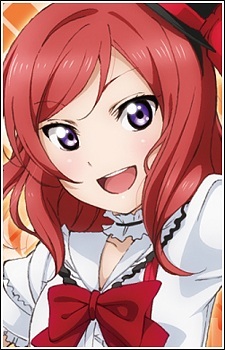 Maki has the qualities of a tsundere and has a hard time admitting her true feelings to her peers. She also has somewhat childish beliefs due to the group finding out that she still believes in Santa Claus. Maki is also quite stubborn. Maki is skilled at playing the piano, and is the composer of the group. She is also their vocal coach. Her other hobbies are photography and stargazing. She became the Idol Research Club's vice president after the third-years graduated.